By buying this product you can collect up to 130 loyalty points. Your cart will total 130 points that can be converted into a voucher of 26,00 €. 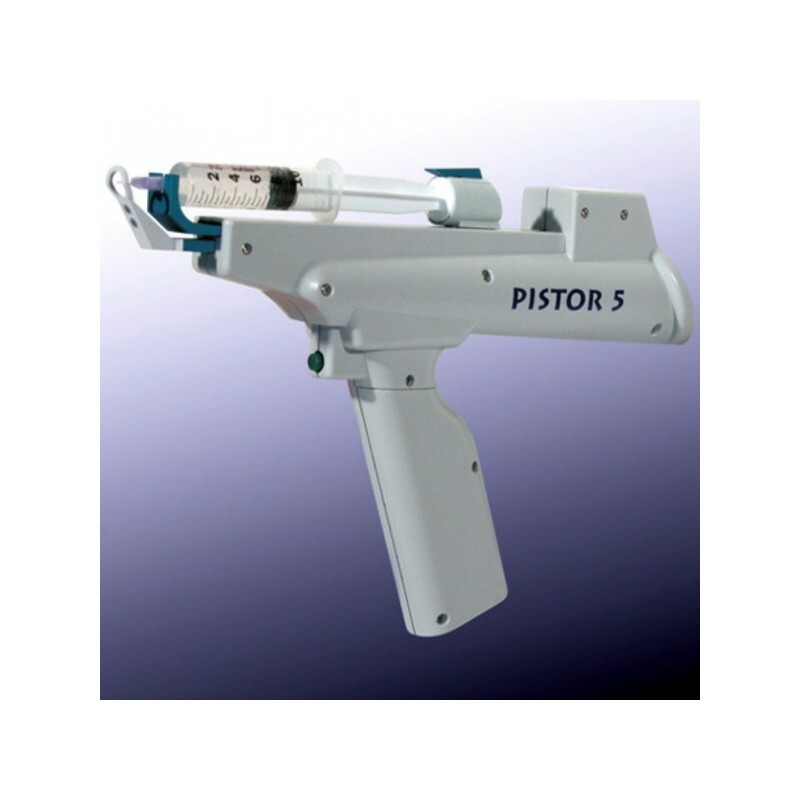 PISTOR 5 is an advanced and veryefficient electronic injector actually on the market. 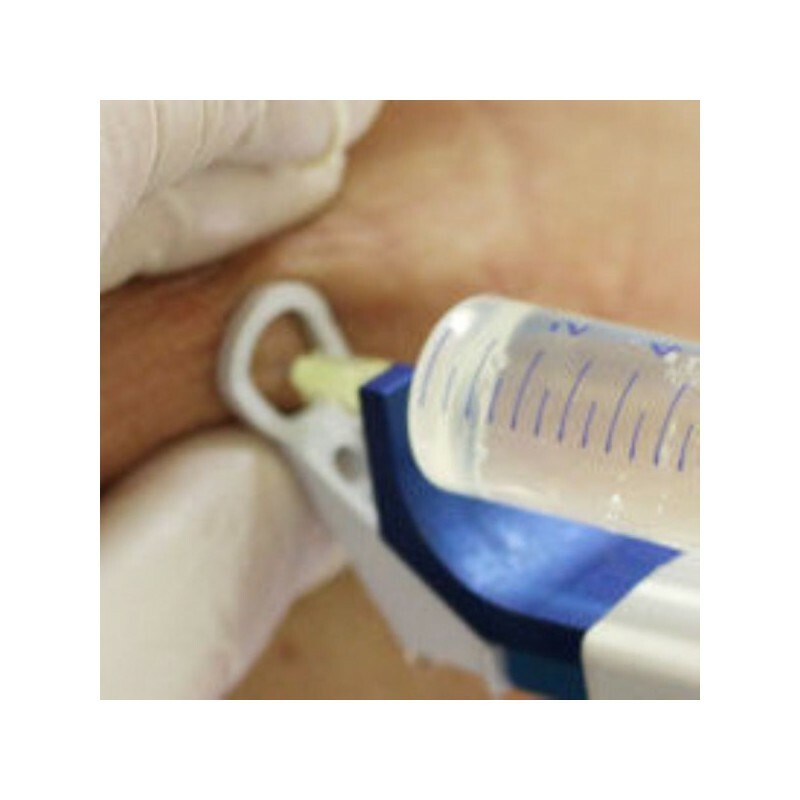 To increase the safety of the practician and the patient’s comfort, MI | Medical Innovation has always been at the forefront of research as proven by the high performances of PISTOR 5. Its smooth running, its particularly studied ergonomic design and its lightness allow comfort of use for the practitioner and the patient. 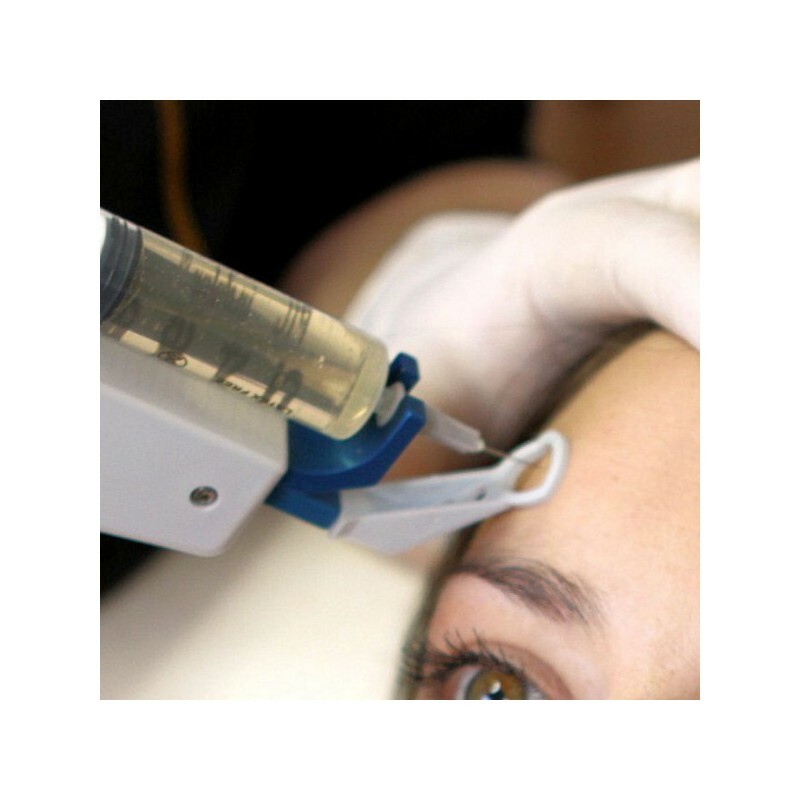 Fitted with a battery last generation (lithium ion), PISTOR 5 has an extended autonomy of above 36 hours, and fast recharging time (maximum 2 hours). 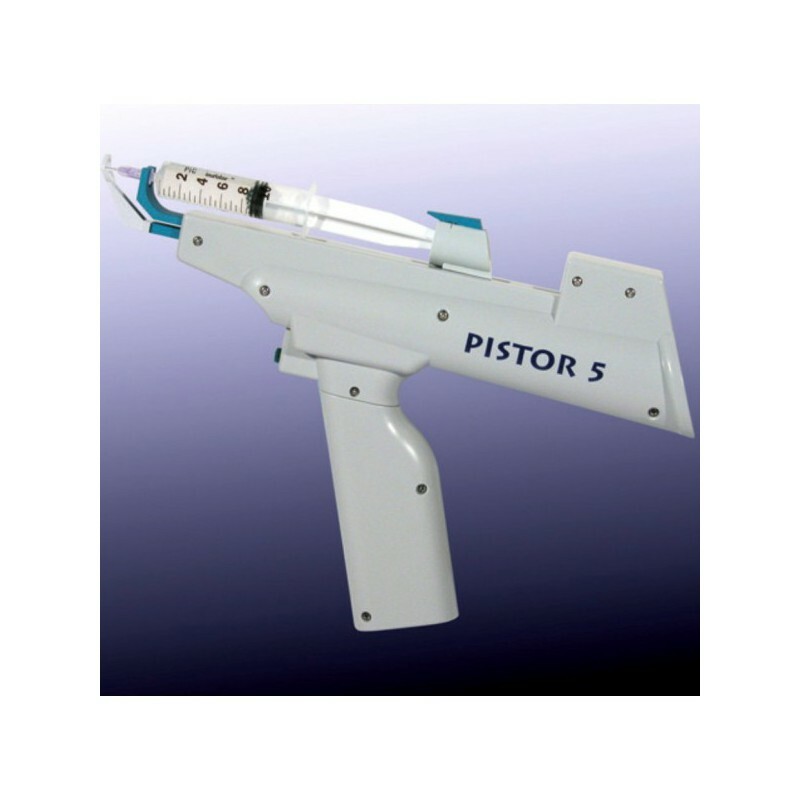 Completely wireless, PISTOR 5 allows fast and hand free intervention. 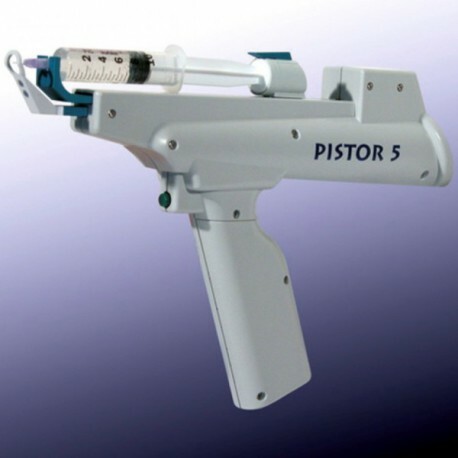 PISTOR 5 is equipped with embedded electronic for configuration of the needle penetration depth. 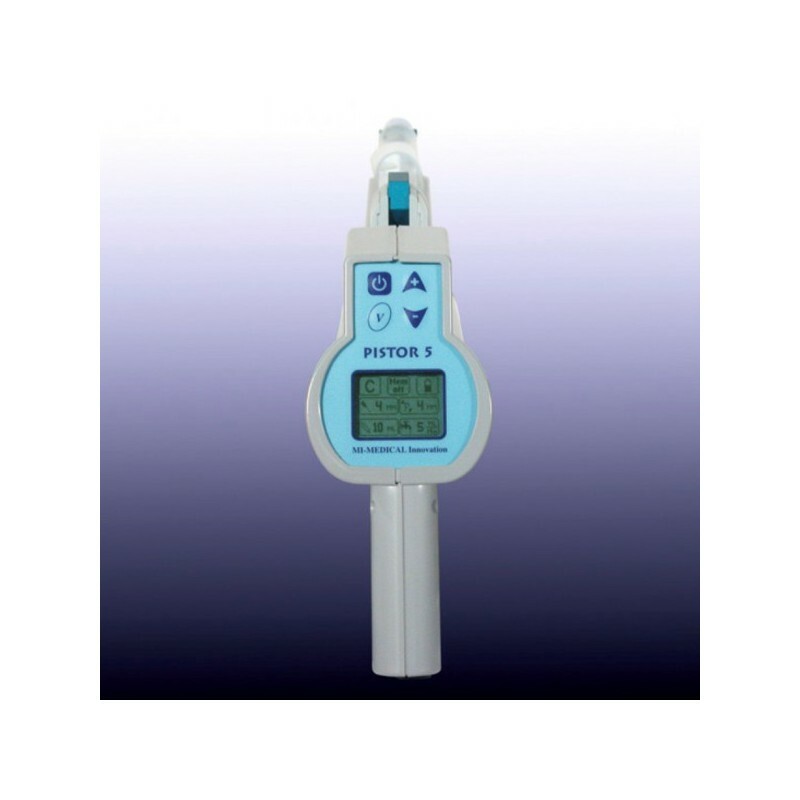 PISTOR 5 has an integrated and automatic anti-leak system, occuring after each and every injection, that avoids waste of product . 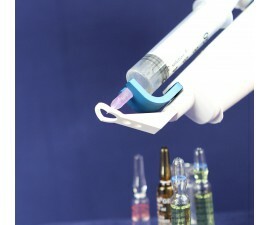 Power and speed of injection together with accuracy of delivered doses have been specially conceived to ensure identical functionality whatever the type of syringe or needle used. 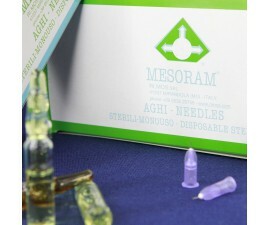 In order to optimize the performance of the PISTOR 5 , we recommend to use our adapted disposables: skin stabilizer kit, complete kit, mesoperfusion kit.